Financial Services Accounting Hub or FSAH (pronounced F-saa apparently) is a great product and is not only for Financial Services companies either, I understand we’ll sell it to anyone. From a (very) high level perspective it allows you to use Oracle SLA and GL to perform the accounting for third party applications. Companies the Financial services industry tend to build a lot of highly complex applications (e.g. loan systems, trading systems) in house, but they want the final accounting of transactions form these disparate system to end up in the same place and it will be nice if they can re-use the same accounting rules too. 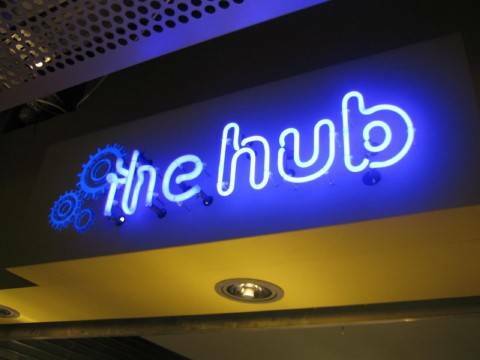 Hence the concept of an accounting hub. If you are using FSAH on R12, you can also utilize all the new AGIS features introduced in R12 and that could help you to apply common intercompany processing rules across your entire business too. I have had a few discussions with customers asking if AGIS could be used as a hub for all intercompany trading across many ERP systems and the answer is very much so, that is something that we had in mind when building the product. You should be able to push transactions from multiple Oracle instances, even on different versions and throw in an SAP or Peoplesoft instance too if you want. There will be some integration work, but we use standard interfaces, services, API and also make use of the Workflow Business Event system to make this process as easy as possible. UPDATE(April 27, 2009): New post with links to more information on the Accounting Hub. I’m afraid to say there is no shortcut to learn financials – I am still learning after more than 10 years. Also look at the blogroll, oracleappshub.com has some very good detail on features and steps to implement, but there are other blogs too. Struggling to get an SLA set up that bounces off our Inventory Item Category Key FlexField. Seems none of the seeded sources point to the Flexfield. Always nice to hear from a fellow expat. The SLA sources are built and maintained by individual product groups. So the Inventory team would decide what the expose in their source. You can log an SR to request they add them if they are not already there. ng from the main ledger for the secondary ledger. The segments with different account plans. Are you talking about Mapping sets in GL? I assume BR_PLANT and BR_COMPANY are two different value sets? I want to create the mapeamento in the setup of SLA. The problem is: they created segments different balanceadores. I want to create the mapping in the setup of SLA. The problem is: they created balancing segments different . Appreciate if you have any good document on Financial Services accounting hub. We noticed that if we call the XLA_EVENTS_PUB_PKG.create_event, a new event is created with a entity_id value = entity_id value present in the original event and then on running the create accounting the reverse journal entry is created with accounting appropriately reversed. However if we call the xla_events_pub_pkg.create_bulk_events then a new event is created with a new entity id which is not equal to the original event and hence when we run create accounting, a new journal entry is created with accounting similar to the original journal and not the expected reversal. In both cases we have populated a transaction number value equal to the transaction number of the original event in the header transaction object. Is this an expected behavior for the create bulk events API? Can you mail me the create_bulk_events code you wrote, i am new to Oracle apps. I wanted to clarify – what is entity_id in the XLA_Creation package? How is it generated? Can I put rules in OFAH that assist me with reporting from the general ledger? We have a 5 segment account combination. When natural account segment is combined with certain other segments the entire combination is reported as one type of cost, when that same natural account segment is combined with different other segments the entire combination is reported as different type of cost. These segment combination mapping is done in FSG. Could OFAH be used to maintain a rule like this? I dont know whether its right to post this here but as I am struck I would like to seek your assistance in this, we are currently in hiring stage for an Oracle Apps Financial HUB consultant for one of my clients in Riyadh, Saudi Arabia. Can any one help me where can I get these resources from? I know someone who implemented FAH in Riyadh, Contact him on his email he might be interested if the offer is good. Next Next post: What does that radio button do?